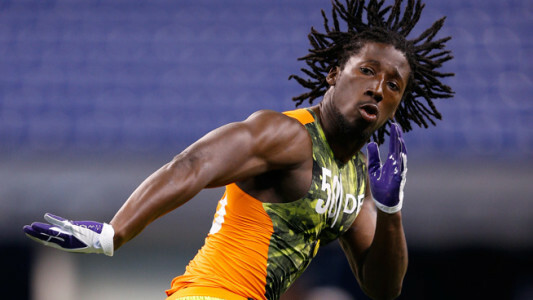 With the 22nd overall pick in the 2013 NFL Draft, the Falcons went defense, picking up Washington CB Desmond Trufant. A four-year starter, Trufant earned his way onto the field as a true freshman in 2009 and showed steady progression over his career. He set career-bests in 2011 as a junior with a pair of interceptions and 16 passes defended, but decided to return for his senior year. Although his senior stats weren’t as impressive (1 interception, 9 passes defended), teams mostly stayed away from Trufant’s side of the field as he was easily the top defender on the Huskies’ roster. While he needs to refine his technique and is far from a polished product, there is no question he has the fluidity and competitiveness to fight for a spot in the first round.